Temple University senior awarded prestigious scholarship while battling cancer. Ali Gorman has more on Action News at 10 p.m. on March 18, 2019. 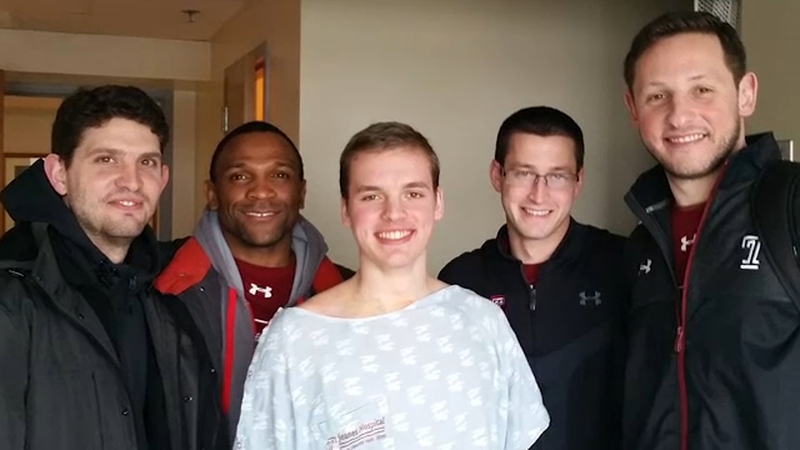 PHILADELPHIA (WPVI) -- A Temple University senior is heading out west to pursue his Ph.D. in physics after winning a prestigious scholarship, all while he was also facing a long battle with cancer. The Knight-Hennessy Scholarship was started by Phil Knight, the co-founder of Nike, and John Hennessy, the past president of Stanford. There were thousands of applicants this year and only 75 were chosen. Marcus Forst was one of them. 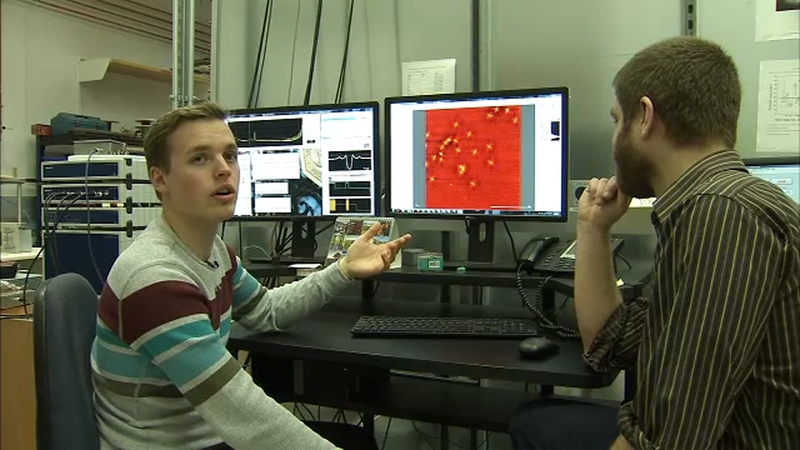 The 23-year-old proudly explained to Action News one of the projects he's been working on while studying physics at Temple University. 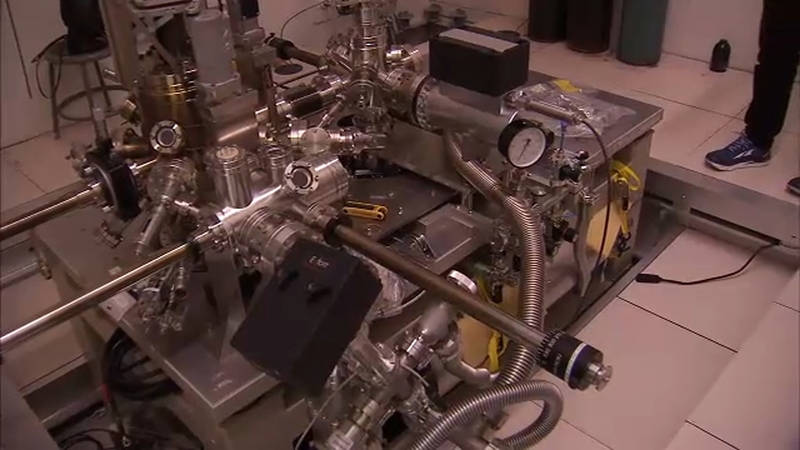 It was a complex machine that looks at the electronic properties, meaning the atoms, that make up materials. "I see physics as a way to appreciate the natural world by way of numbers, but it's still an appreciation none-the-less," Forst said. Forst said that feeling grew stronger in 2015 when he was diagnosed with cancer - T-cell Lymphoblastic Lymphoma. "The diagnosis itself was very disruptive, in that I really didn't know, first of all if I would live, and second of all, when I'd be able to get back to school," Forst said. Time off from school only proved he couldn't wait to get back. Forst underwent three and a half years of chemotherapy. His last treatment was this past summer on the 4th of July. "It was a true independence day; it was great," he recalled. Now, he's graduating in May and off to Stanford in the fall to get his Ph.D. in physics. He's the first Temple student to be named a Knight-Hennessy scholar. His professors said he's the perfect choice. "You have to love it and you have to be able to persevere through the difficult times and be able to be successful through all this stuff. Marcus is one of the people who does this with aplomb," said Jim Napolitano, chair of the physics department at Temple University. "I was very surprised, I was also surprised to get into Stanford to begin with, so that was really nice," added Forst. As for his goals for the future, Forst said he'll be looking at a lot of different options, but for right now, he's just taking it all in and is excited to work with students with different backgrounds and different interests.